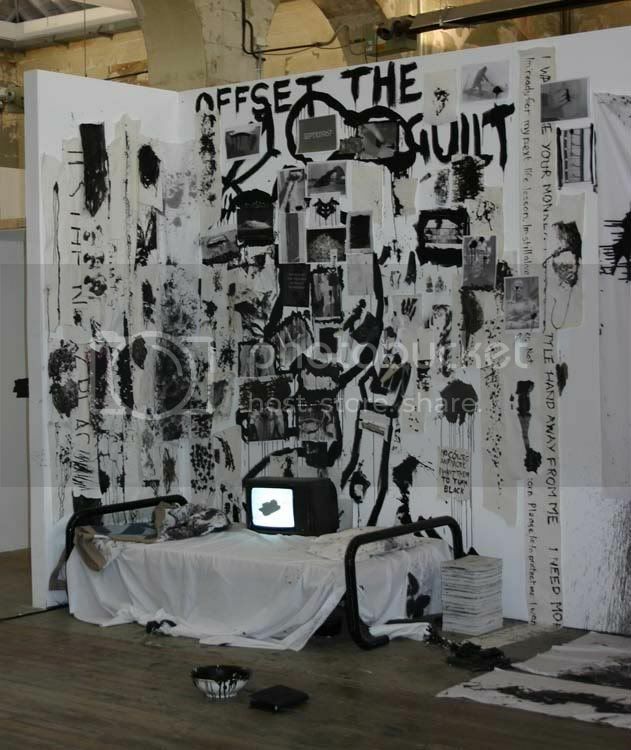 Collected was a presentation of what I’d learned through the year 2006. 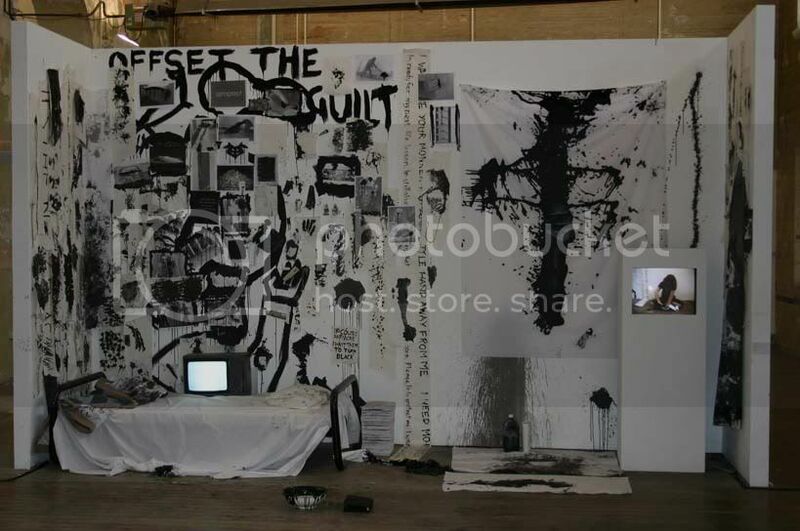 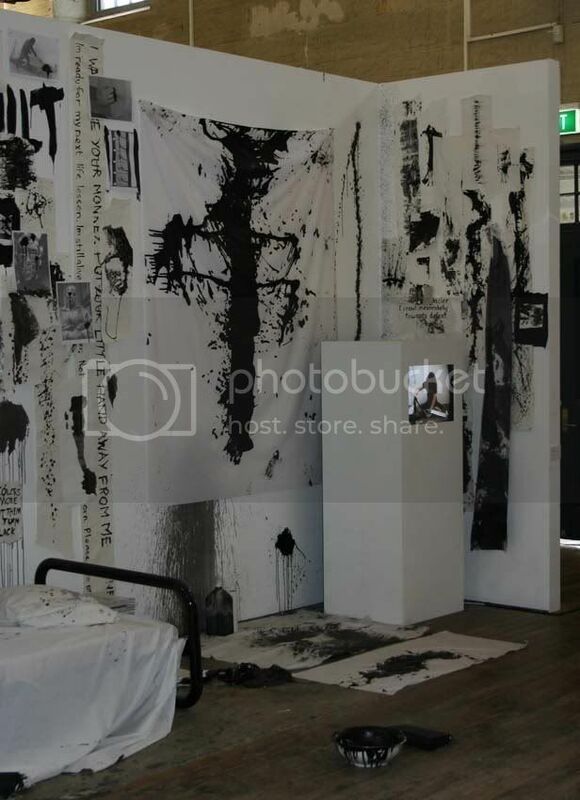 It consisted of the wall installation, two video pieces and evidence from various performances. 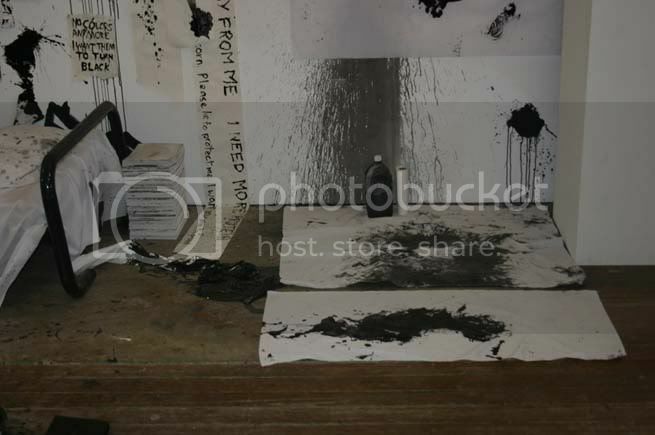 Performance evidence from Scrubbing (2006), Paint Head (2006) and Shroud (2006). 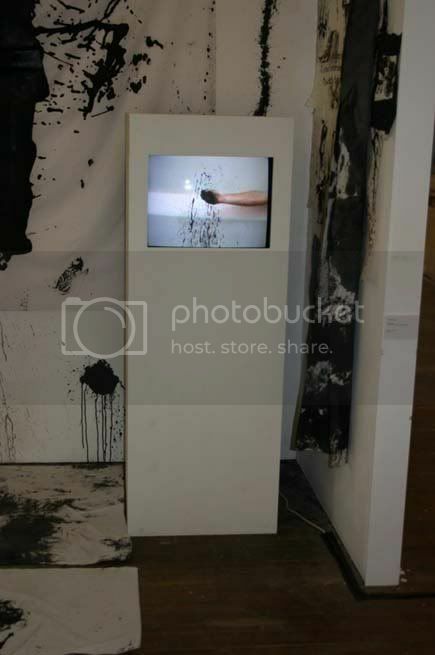 Looped video playing Paint Head (2006), Catching Paint (2006) and Intestines (2006).